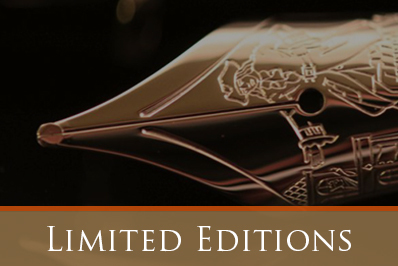 If you are looking to buy a luxury pen, you’ve come to the right place. Our shop was established in 1927, and has grown to become one of the best penshops in the Netherlands. We’ve got a large assortment of pens from many different brands such as Waterman, Parker and Montblanc. Because of our large assortment, you will definitely find a pen that fits your desire and budget. 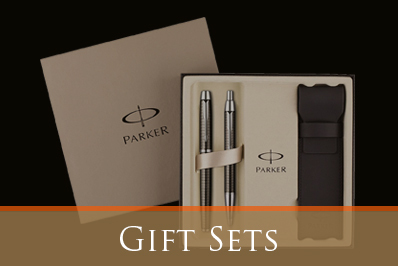 Whether you are looking for a ballpoint pen, rollerball or a luxury fountain pen, you will certainly succeed here. We have a large assortment of pens and a wide variety in different brands: we have pens from the brands Waterman, Parker, St. Dupont, Montblanc, Kaweco and many more. That’s what makes us one of the biggest penshops in the Netherlands. Besides the standard and more regular versions of the pens, we also have more exclusive ones which are Limited Editions. You can see those if you click on the button ‘Limited Editions’ above. Those pens have been produced in a restricted amount, some of which have been made just a few hundred times! Not only do we sell pens, we also have a variety of other writing instruments and office supplies, and notebooks from quality brands like Leuchtturm and Moleskine. Besides that, we sell plenty more luxury items such as briefcases and cufflinks. 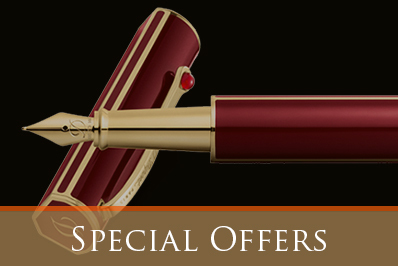 You can order all our luxury fountain pens or other pens online via this website. We assure you of shipping your order as soon as possible. But, if you’re in Amsterdam, paying a visit to our store is definitely worthwhile. We will provide you with the best service and you can ask us anything you want to know about our products! Parker 5th Ingenuity Black Rubber & metal C.T.